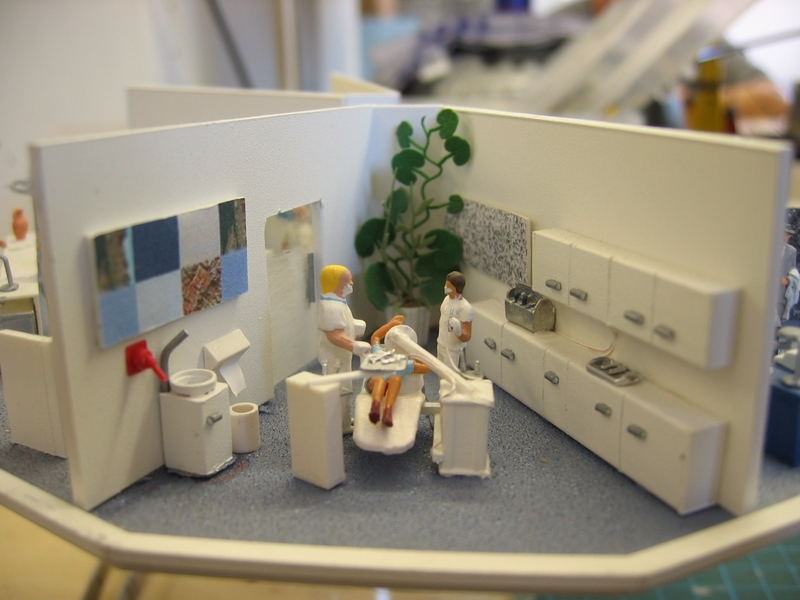 Since furniture in the dentist’s practice is usually white, we will paint our chairs white as well. 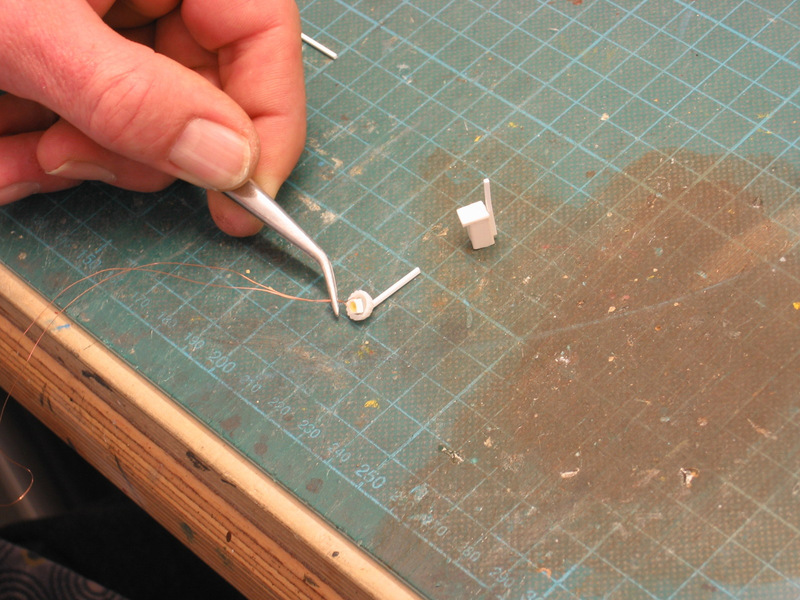 Good lights are a must, even in the miniature version! Now we build the side table with drills and a water basin. Once the side table is finished we can start with the remaining accessories. There is no limit in creativity! 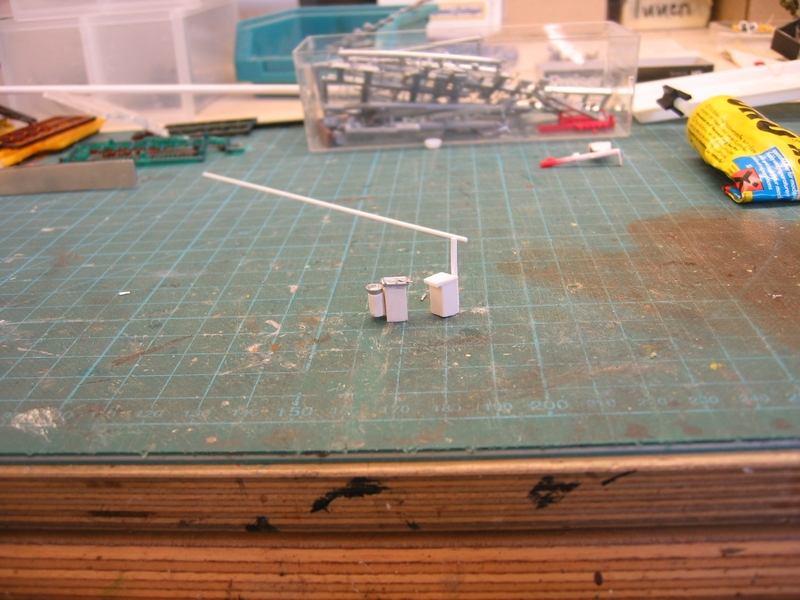 Finally, the parts can be assembled, glued together. Add beautiful patient waiting for root canal and you are set! This is what the practice looks like now and our chair has found its spot. Enjoy building this at home! 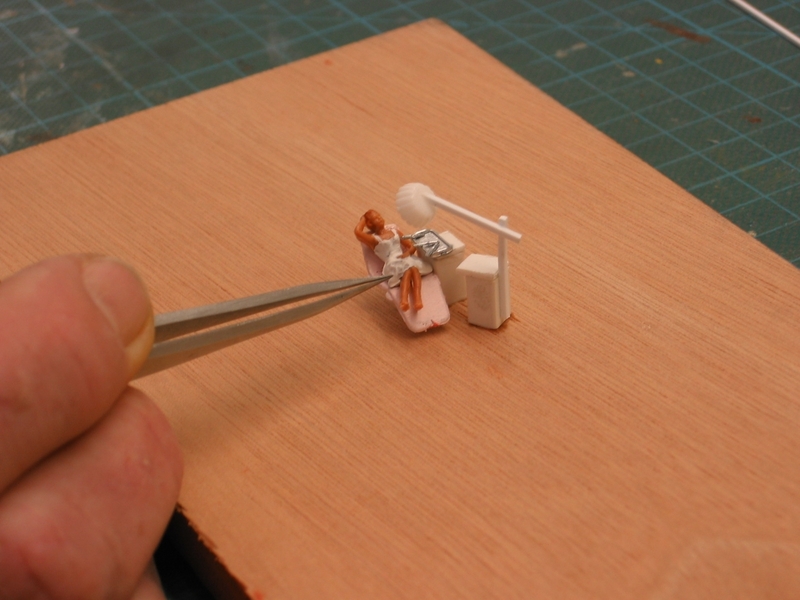 This article is based on the article dentist chair from model building wiki.